Within the Communion Rails on the South side on black marble. 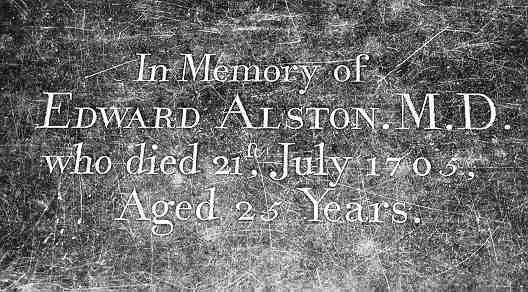 In Memory of Edward Alston M.D. Edward married Rebecca  [MRIN: 1273].